Do you have experiences from Bellevue College that would make you a good representative of the graduating class? Have you been involved with extracurricular activities and have a message you would like to share with the Bellevue College community? Students who can demonstrate their leadership skills and abilities and who can effectively convey educational and other relevant experience will have the strongest applications. 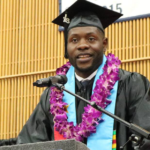 Mike Kwispond was an International Student from the Democratic Republic of the Congo and earned an Associate Degree in Civil Engineering. While a student at Bellevue College he was a Student Peer Leader at the Peer Assistant Leadership Services Center and Student Ambassador. Mike really enjoyed giving campus tours and helping people while building relationships with students and staff. He transferred to Seattle University. Erik Uri graduated with a Bachelor of Science in Computer Science. 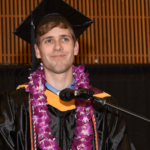 He was a member of the Student Advisory Board for the Computer Science Department which helped direct how program could best serve and prepare student for success in the industry. Erik was also in the Autism Spectrum Navigator program and member of the Speech and Debate Society. 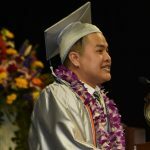 Phillip Nguyen came to Bellevue College as an International Student from Vietnam to pursue requirements to become an Electrical Engineer. During his time here, he worked in the Student Programs Peer to Peer program, mentoring other students navigating college. Yazmeen was a Running Start student and a tutor in Math and English through the Academic Success Center. She then held the position of ASG Justice of External Affairs. 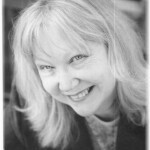 During her time at Bellevue College she was a member of the Helping Hands club, which raised funds to support needy causes within the community. 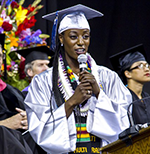 Melantha Jenkins was the 2014 – 2015 Associated Student Government President, in addition to serving as the commencement speaker. Her journey as a single mother struggling with her grades to an active, successful student leader was an inspiration. She transferred to Howard University in Washington, D.C.
Shoshanna Moore was a non-traditional student, returning to school after being laid-off from her job. Through worker retraining, she excelled in school despite her doubt, earning her Associate’s Degree and a place in the Phi Theta Kappa honor society. Shoshanna thrived when she had the opportunity to write; she was hired by the Writing Lab, published a non-fiction piece in the campus literary journal The Belletrist, and aided in the writing of position papers for the Model United Nations program. 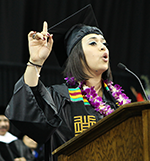 Safae Zniber was the first commencement speaker to be a Bachelor’s candidate. Safae was an international student from Morocco, earning her Bachelor of Applied Arts in Interior Design over four years while working in the Office of Student Programs, remaining active in clubs and programs like the Black Student Union and El Centro Latino. 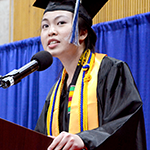 Anh Nguyen was an international student from Vietnam. She was a business major who transferred to the University of Washington Foster School of Business. While a student at Bellevue College, Anh worked at the PALS Center and was very involved in Student Programs Leadership Institute activities.